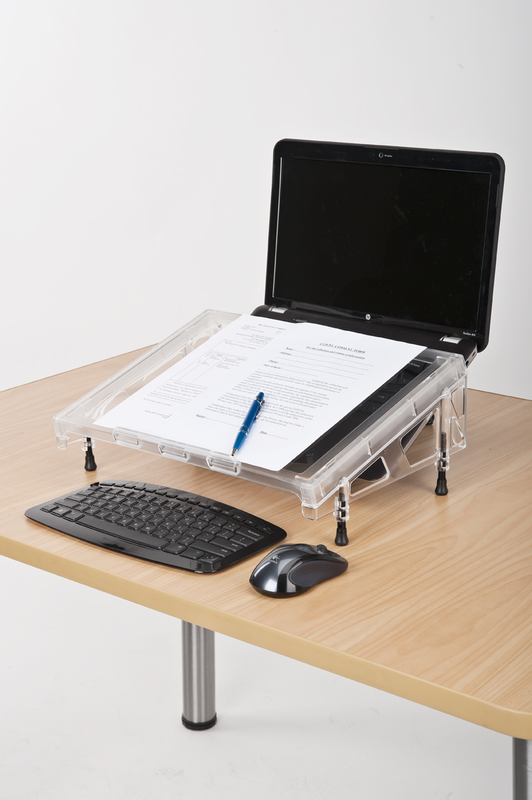 The COMPACT MICRODESK™ is narrower in width than the REGULAR MICRODESK™ and is designed for use with laptops and restricted work areas. Platform width 17". Platform ONLY. Does NOT include computer, monitor keyboard or mouse.